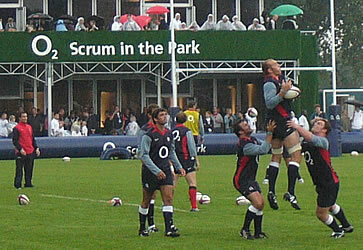 Rugby union is the most popular version of the game in the UK and internationally. 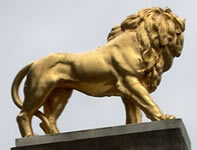 Every few years British and Irish players play together in a team known as the Lions, and go on tour in Australia, New Zealand or South Africa. The national teams from these countries have the following nicknames: the Wallabies (Australia), the All Blacks (New Zealand) and the Springboks (South Africa). The Six Nations is a rugby union competition between England, Scotland, Wales, Ireland, France and Italy. Each team plays one game against each of the other teams, over a series of weekends in February and March. The official website of the tournament is http://www.rbs6nations.com. For photos of Twickenham on the day of a Six Nations rugby union match, see: Ideas/Album/SixNations. If a team wins its games against all of the other teams in the competition it wins the Grand Slam. If one of the four "home nations" (England, Wales, Scotland and Ireland) beats each of the other home nations it wins the Triple Crown. The winner of the England vs Scotland game wins the Calcutta Cup (this is the oldest trophy in the history of international rugby, first won by England in 1880). The Six Nations competition was won by France in 2004, Wales in 2005, France in 2006, France in 2007, Wales in 2008, Ireland in 2009, France in 2010, England in 2011. The Rugby World Cup competition is held once every four years. 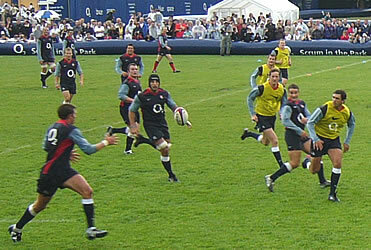 The following teams automatically qualify for the competition: England, France, Ireland, Italy, Scotland, Wales, Australia, Fiji, New Zealand, Tonga, South Africa, Argentina. 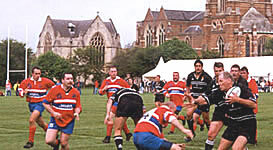 Other countries take part in regional rugby competitions to qualify. The tournament teams are grouped into the four pools of four teams each. Teams play each of the other teams in their pool. The top two teams in each pool go through to the quarter-finals, after which it is a knock-out competition. - The Rugby World Cup 2011 was in New Zealand. In the final New Zealand beat France 8-7. - The Rugby World Cup 2007 was in France. In the final South Africa beat England 15-6.